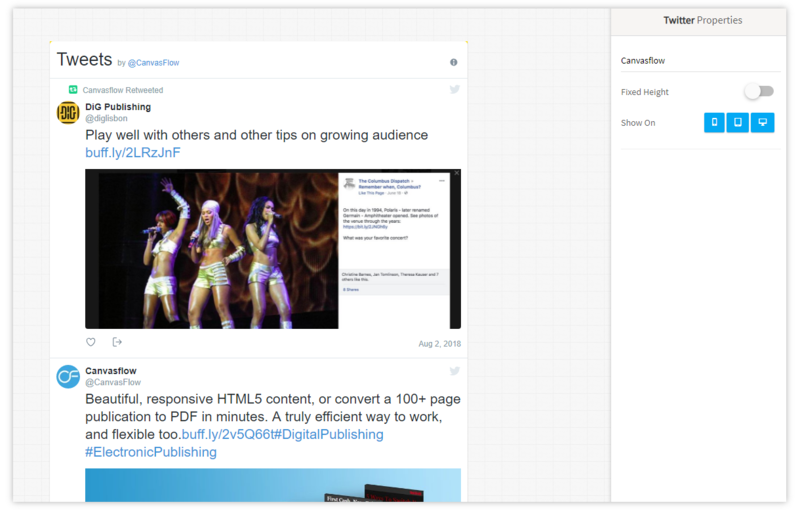 The Twitter component allows you to embed the feed of any Twitter account by simply entering the Twitter handle into the top field. By default, a Twitter feed will display the last 20 tweets which can take up a significant height in an article. Enabling Fixed Height allows you to control the height of the twitter component, producing a scroll bar for users to navigate through tweets.